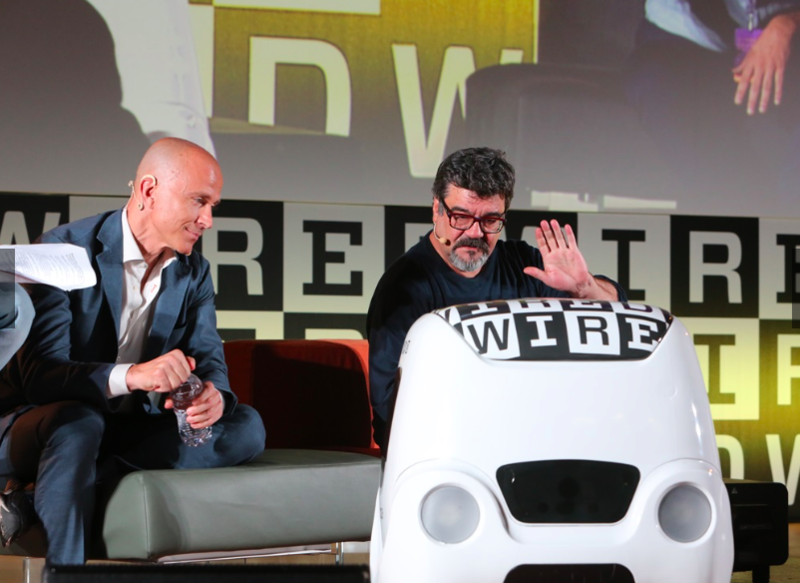 On the 30th of September the third edition of the Wired Next Fest, organised by Wired Italia and one of the most important Italian festivals dedicated to the culture of innovation, came to a close in Florence. Over sixty thousand people came to the event at Palazzo Vecchio. There were more than 140 Italian and international guests: scientists, politicians, economists, technologists, entrepreneurs, actors, directors, musicians, and sportspeople all came together to discuss the theme of simplicity. The guests included: Vint Cerf, Terry Gilliam, Mika, Luca Parmitano, Elena Cattaneo, Christopher Wylie, Alessandro Cattelan, Enrico Mentana, Michela Marzano, Sergio Castellitto, Paolo Genovese, Enrico Giovannini e Zerocalcare. Also speaking on stage at the Wired Next Fest was Ivo Boniolo, the co-founder of e-Novia, and together with Yape (the self-driving delivery system that quickly won over the audience in Florence), he went into detail about the topic of mobility: «From drones for autonomous delivery to predictive suspension, from digital platforms for self-driving vehicles to intelligent braking systems: perception, intelligence and awareness for the world’s smart mobility» .